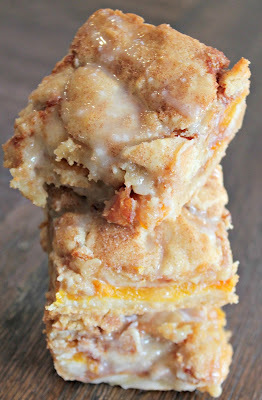 Peach Cobbler Bars - Made It. Ate It. Loved It. Summertime means cobbler in our home. 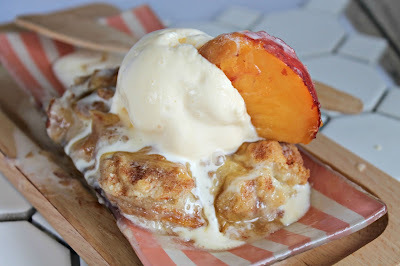 We love making berry and peach cobbler. We love to top everything with ice cream! 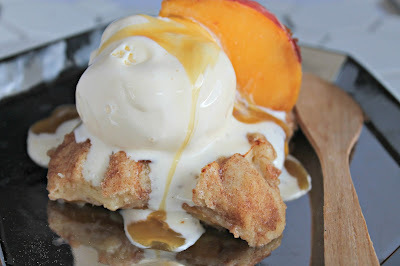 Only problem is trying to photograph something with ice cream on it when it is 110-120 degrees F outside! No matter what time of day it is it is hot! So very little ice cream photography happens. These bars are very yummy with just the frosting on it. It makes them way more portable to gatherings or delivering treats to neighbors, friends, or family. So don’t feel like these HAVE to have ice cream on them to be yummy. But if you can top them with ice cream! 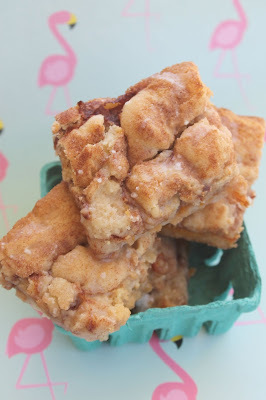 Using Krusteaz snickerdoodle cookie mix makes them the perfect texture of getting the bar feel with also having the cinnamon sugar touch of cobbler! 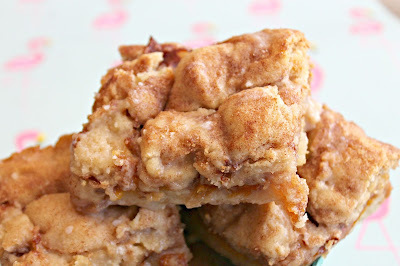 These are a must for all those peaches that are in season right now. So head to the kitchen asap and whip these bars up! Everyone will thank you! For directions head over here!